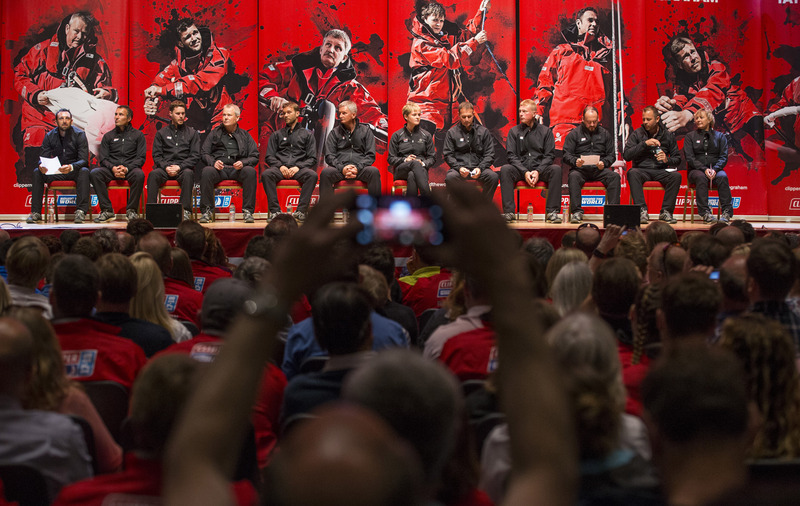 The Clipper Race is truly a global event and that was only reinforced by the turnout on Crew Allocation Day. It was the biggest Crew Allocation attendance in the 21-year history of the biennial event. 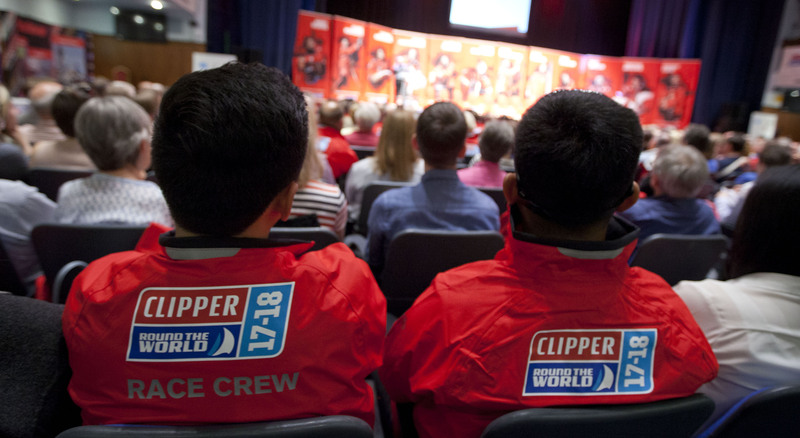 More than 450 members of crew, representing an incredible 32 nationalities, flocked to the Portsmouth Guildhall to find out their teams and skipper for the Clipper 2017-18 Race, which will depart from Liverpool on Sunday 20 August. While some had a relatively easy commute to Crew Allocation, others have spent days making their way from the other side of the world. Keith Williams, 61, from Panmure, New Zealand travelled more than 3,600 miles, taking three planes and a train, to hear his name read out by his skipper David Hartshorn. The distance to the Portsmouth Guildhall is nothing to Keith’s upcoming journey; he has signed up for the entire 40,000 nautical mile circumnavigation and says he wouldn’t have missed Crew Allocation for anything. “I really wanted to meet my Skipper and team as they will be my family for a year,” says Keith. As the crew gathered in the Guildhall, they were given the opportunity to speak to representatives from a number of Clipper Race Partners and Sponsors, including UNICEF, Garmin, Ocean Safety, Coppercoat, Henri Lloyd, Elliot Brown, Marine Travel, Marlow Ropes and Sta-lok, while the Crew Supporters also attended a reception held by Stormhoek Wine. 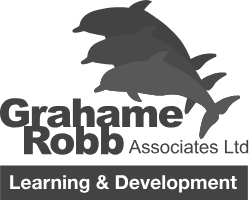 Safety was the core of the opening message from both Sir Robin and Race Director Mark Light, who spoke about the introduction of the personal AIS Beacons for crew and the development of a Safety Committee for each boat to support the skippers. Mark then introduced the excited and slightly nervous crowd to the twelve skippers who will be guiding their global adventure. And then it was time for the moment everyone had been waiting for; the unveiling of the teams. Sophia Boubal, who will be competing in the Homecoming Leg eight, was named in Team Rob, while her partner was allocated to Team Nikki. “It was really exciting, the whole build-up of the anticipation of waiting and waiting,” says Sophia. Clipper 2017-18 Race Crew Members during Crew Allocation. Copyright OnEdition. James Hetherton is the third member of his family to do the Clipper Race and says he was ecstatic to find out he would be racing with fellow Yorkshireman Roy Taylor for the first four legs. “I have a family tradition to uphold,” says James. “My daughter Sophie completed the circumnavigation in the 2013-14 edition, my sister did the last race so I have to do this race to try and better their positions. “Over the next year, the crew will gain more experience and mileage in their log books than the average sailor,” says Sir Robin. Joining the crew at the Guildhall, were almost 200 supporters. This group, who will become the team behind the team as their loved ones leave home to take on Mother Nature at sea, held their own session where they had a chance to hear from crew supporters from previous race editions. Away from the Portsmouth Guildhall, crew, supporters, and interested locals were given the chance to get up close and personal with one the Clipper 70-foot yachts, the recently branded Visit Seattle, which will be skippered by Nikki Henderson. The open boat gave people a chance to tour a stripped-out Clipper 70 ocean racing yacht and discover what it takes to become an ocean racer. The tour is free of charge, with Visit Seattle to remain at Gunwharf Quays, Portsmouth, on Sunday, open from 0900 until 1600. If you would like any further information about the Open Boat, or any other Clipper Race event, then please visit the website. Visit Seattle at the Crew Allocation Open Boat in Portsmouth. Copyright OnEdition. Feel inspired? There is still time to sign up for the Clipper 2017-18 Race, though spots for both the individual legs and full circumnavigation are going fast. If you think you have what it takes to race across the world’s oceans, then apply here.